An adherent of the servant leadership style, Rob says self-awareness, curiosity and a commitment to growing the broader community around a company are the hallmarks of the best executives. "This ensures the decisions are not about them as the leader," he explains. "Rather, the decisions are about the people who make the team a success." Before starting his first job, Rob received advice that a portion of his salary should be set aside for community causes. "This means you get used to working with what income is left and you’re able to make a significant contribution to the community when your income potential increases." CUA has committed to giving 3% of its pre-tax profits to local partners and organisations. It also opened an innovative Community Hub branch which assists locals with their financial needs and doubles as a free meeting space for community groups. For the civic-minded Rob, these are among his proudest achievements. Under Rob's leadership, CUA, the largest member-owned financial institution in Australia, has enjoyed a high level of trust among the more than half a million Australians that rely on its products across banking, health, motor and home insurance. Even in a difficult environment for the finance sector, its membership growth has been strong, with 20,000 new banking members joining over the past year. CUA's employees rated it highly as a place to work, with engagement and culture scores continuing to trend upwards. The Workplace Gender Equality Agency named it an Employer of Choice for Gender Quality status, the fourth year in a row it has made the list. It has also comfortably exceeded its financial goals, with its health insurance subsidiary (CUA Health) recording a record before-tax profit of A$12.8 million against a target of A$7.3 million. Rob puts this success down to a number of factors, including its embrace of technology through new digital apps, as well as its strong relationships with international partner banks. In FY18, CUA won a number of awards including being named Australia's Best Credit Union by the Mozo Experts Choice Award and being honoured for its work sponsoring Big Bash League cricket team Brisbane Heat. Rob joined CUA after working for more than three decades at ANZ. He describes the decision to step out of his comfort zone after many happy and productive years at the banking giant as the best career move he ever made. He also spent four years as CEO of Rural Finance Victoria and says the broad experience he gained there was immensely valuable. He believes the Executive of the Year Awards is an important counterbalance to the negativity of today's news. "We are often quick to bring down tall poppies or spend a lot of time speaking to things we haven't done well," he says. "But there are legitimate times when we can celebrate success and this is a great time to showcase good news stories about individuals in the business world." 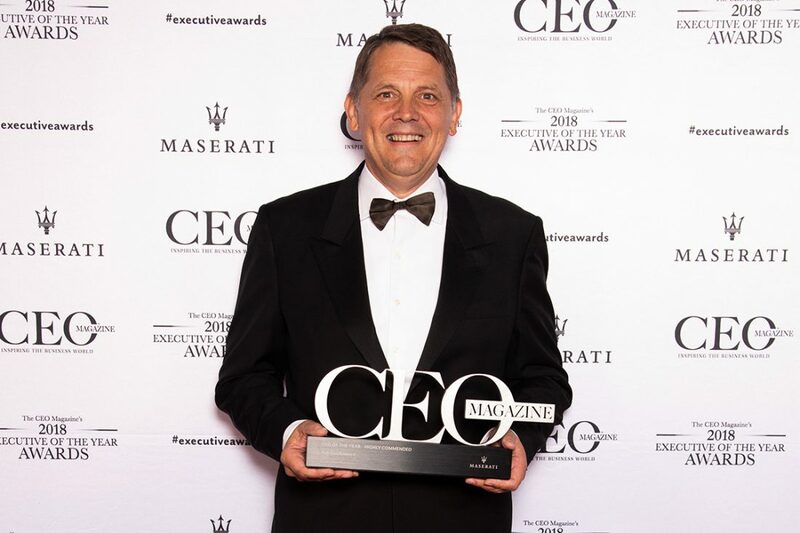 View the full list of winners from the 2018 Executive of the Year Awards.